Remake of a SNES racer that I loved! I stumbled upon this title more or less by mistake, and, for some reason I had the feeling that I've played something similar before. I mean, my first thought was, yeah, it kind of reminds me of a similar game to Mario Kart as it has the same 16 bit feel, the kind of front facing swoop that the Mode9 chip on the console made possible and the race track that reveal themselves in chunks. And then I remembered! 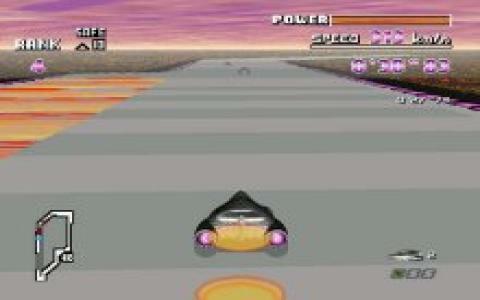 I played something as similar as this on a Super NES, the only difference being very slight. Because this is a very similar remake, almost a one to one copy of that very same game, made to run on DOS. What it lacks is the same speed that the SNES was capable of bringing to the table, but you can sure tweak your Dos Box machine to bring it up just a notch. 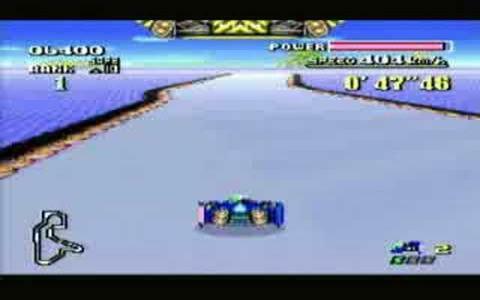 Other than that, F-Zero is an unpretentious racer, with cars that seem to be stolen from the Star Wars racers events, with enough changes to them to not stand out as a sore thumb. But the simple follow the road and capture the boosts mechanics are as great today as they were in the 90s and, I sure found myself losing track of time while high on this game's brand of adrenaline rush. 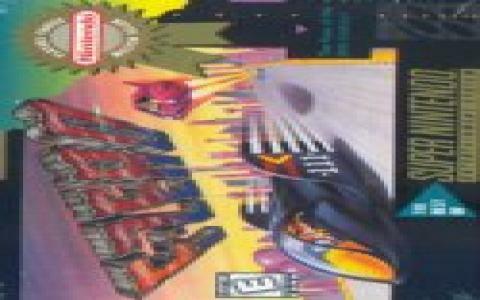 Give it a go if you love 16 bit era racers, unpretentious but very engaging!